Newspapers often represent the most extensive documentation of a community’s activities. The small weekly rural publication or the long running daily newspaper in larger urban centres bring forward a community’s priorities and perspectives in a way that no other material can. Large-scale digitization of newspapers, including by the now defunct Google News project, has been accomplished only rarely, but ODW is proud to host the 4th largest online newspaper collection. By enabling local organizations like public libraries, archives and museums to digitize and present their community newspapers online, ODW ensures open access to more than 2 million pages of heritage news, index records, vital statistics, clippings and more. 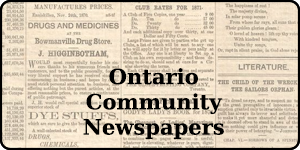 ODW’s two major newspaper portals, Ontario Community Newspapers (OCN) and INK, are gateways to hundreds of Ontario newspaper titles from more than 200 years of publishing history. The OCN portal brings together different kinds of newspaper content from across our VITA client collections: all Ontario-based VITA collections of newspaper indexes, clippings, or full-run digitized newspaper pages automatically flow into the OCN portal for a one-search end-user experience. 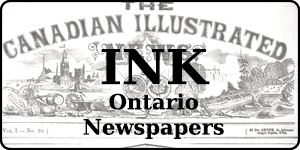 The INK portal is your source for full-page Ontario newspapers: the list of titles include all full-run digital newspapers from VITA collections, plus others that have been digitized and shared by the University of Windsor. Get in touch if you’d like your digitized Ontario newspapers to be included in this portal. Newspaper titles range from the abolitionist newspapers the Provincial Freeman and Voice of the Fugitive to community newspapers from across Ontario including the Border Cities Star, Georgetown Herald, Stouffville Sun-Tribune, and the British Whig. We work to ensure that all legacy work is captured and linked wherever possible, bringing newspaper indexes online to match up with their parent publications with digital page views. As more libraries find a place to share their local history online, ODW has become a host for many Illinois collections. 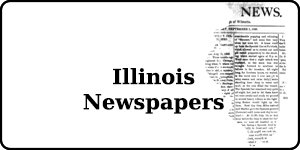 The Illinois Newspapers portal aggregates full run digitized newspapers with index records for access to dozens of Chicago-area publications from Libertyville, Wilmette, Algonquin Area and more.